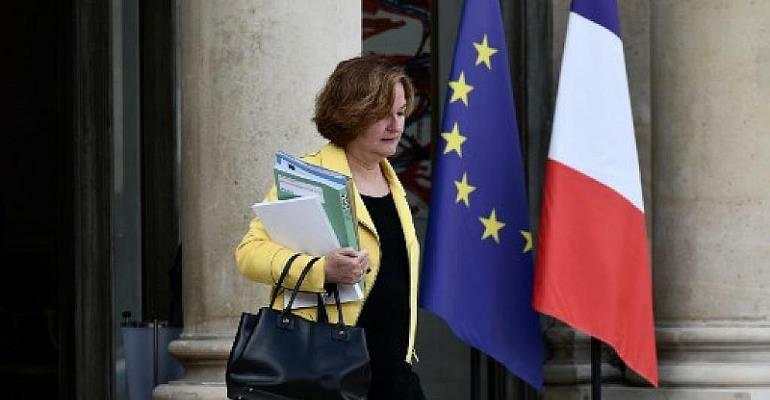 French Europe Minister Nathalie Loiseau lambasted Britain's pro-Brexit campaigners as she launched the bid of President Emmanuel Macron's political party for European elections in May. “Do you remember the slogan 'take back control'?” said Loiseau on Tuesday, referring to a key slogan of the Leave campaign. “It was a good slogan but the wrong answer, and we can see the state they're in now. Loiseau, who stepped down from her position in Macron's cabinet on Wednesday, already caused a stir this month with another jab at Britain's disorderly departure from the European Union, joking that she had named her cat Brexit. “He wakes me up every morning meowing madly because he wants to be let outside, and as soon as I open the door, he stays put, undecided, and then glares at me when I put him out,” she said on Facebook. Loiseau later admitted she had no cat and that she felt a “certain sense of humour” was needed in regards to Britain's impending departure from the European Union. The joke appeared to encapsulate French incredulity at the perceived indecisiveness with which Britain is approaching its departure. Before entering Macron's cabinet, Loiseau was a career diplomat and head of France's elite National School of Administration, which trains the country's top civil servants. She had no previous experience in politics. As Europe minister, she placed herself at the forefront of Macron's ideological war against European nationalists and populists including Marine Le Pen in France, Viktor Orban in Hungary and Matteo Salvini and Luigi Di Maio in Italy. The French government said Wednesday it would announce a limited cabinet shuffle to replace Loiseau by Monday. The European parliamentary campaign will be the first electoral test for Macron's party, The Republic on the Move, which won a solid parliamentary majority a month after Macron was elected president in 2017. Second on the list for the EU campaign is Pascal Canfin, who previously headed the French office of the World Wildlife Fund and, like Macron himself, was a cabinet minister under former president François Hollande. The full list of 30 candidates contains mostly unknown figures of varying backgrounds, including two foreigners: Sandro Gozi, a former junior secretary of European affairs in Italy, and Chrysoula Zacharopoulou, a Franco-Greek gynaecologist and surgeon. “The presence of non-French citizens on our list is a signal of our commitment to Europeanise the election,” said campaign director Stéphane Séjourné. Polls suggest that despite discontent of the Yellow Vest movement, it would not be improbable for Macron's party to win the largest share of the vote in the 26 May ballot.